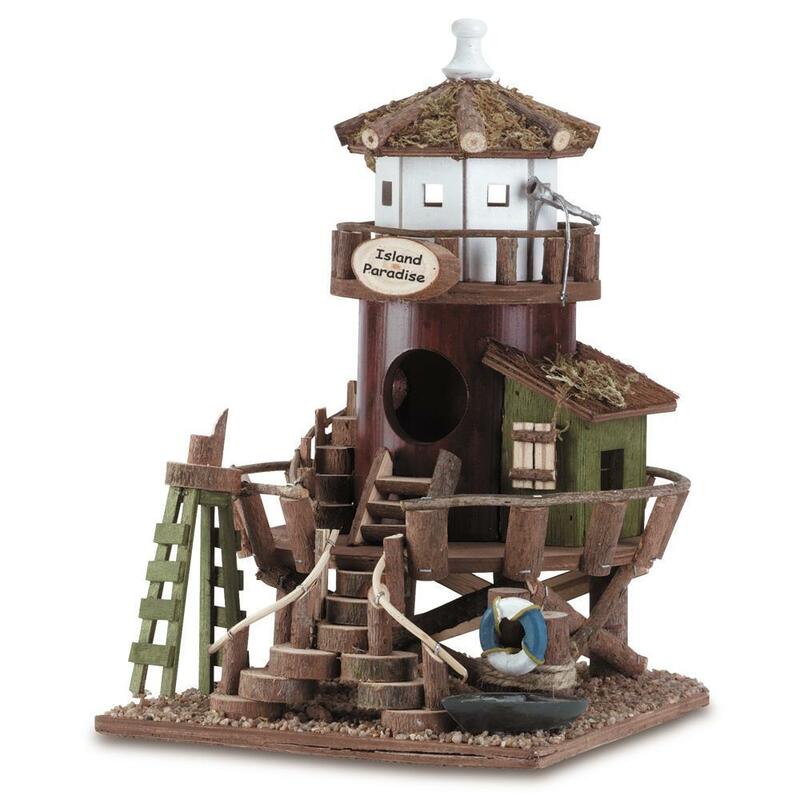 Wood bird house in decorative lighthouse design and Island Paradise sign. Cute and clever lifeguard station is a bit of island paradise to welcome garden guests! Weight	1.8 pounds. 7.5" x 8.75" x 11.2". Bamboo, Plywood. UPC Number: 849179014421.